There are 3 types of scrapbook albums, all of which come in various sizes, and have their own advantages and disadvantages. I prefer to use a 12inch by 12inch scrapbook page as it can fit four 4×6 photos on it easier than the other smaller sizes. This size does however, make the album fairly large. 3-Ring Scrapbook: This is the easiest type of scrapbook to put together after the pages are made, and I have found them to be the sturdiest of the 3 types, and are best used if your scrapbook is going to have more than 25 double spreads. The disadvantage of the 3 ring album is that it creates a large gap between the 2 pages of your spreads when you are viewing them. 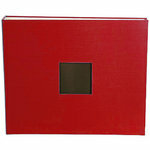 a 3-ring album can also not be made any larger and has a fixed capacity (even though it can be a large capacity). 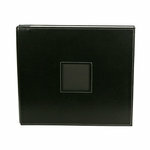 2- or 3-Post Scrapbook: These scrapbooks have either 2 or 3 straight metal posts that run between the two covers. They can be expanded using post expander additions. The beauty of a post scrapbook is the your pages can be right next to each other when being viewed. The disadvantage is that a post album can end up not being sturdy and can feel quite loose – the more extenders that you put into the album. Strap Album: Most strap albums are from Creative Memories, and instead of using posts, there are two straps that run through metal hinges at the end of the special scrapbook pages that holds the pages together. The scrapbook work is affixed directly to the scrapbook page and a plastic page protector is slipped over the end of it. The advantage is a strap album is that the pages are close together when being viewed, and they are more sturdy when the album is expanded. The disadvantages include that this is the most expensive type of album, and it is the most difficult to put together/expand, and the plastic page protectors are more difficult to put over the pages.